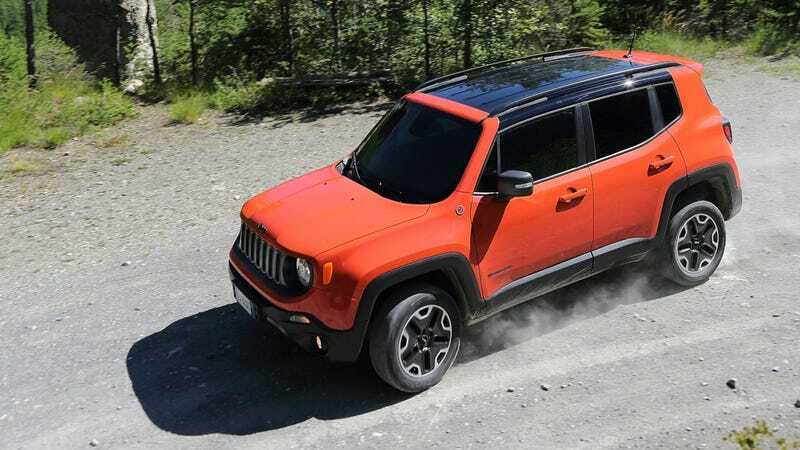 The EPA has certified the 2015 Jeep Renegade 4WD with the larger 2.4 Tigershark engine at 24 combined MPG, 21 in city conditions, and as high as 29 on the highway. The 2WD variant can top 31 MPG. The Detroit Free Press says EPA ratings for the smaller (1.4) four-cylinder engine will come out Friday, but Jeep spokesman Todd Goyer told them "the company expects it will only account for about 10% to 15% of total Renegade sales." For comparison, a 2.o liter 2015 Kia Soul (2WD) is pretty close at 26 combined MPG. The upcoming 2016 Honda HR-V does even better with 29 combined MPG and 32 on the highway, and its city performance of 27 basically leaves the Jeep in the dust. A 2WD HR-V can hit up to 35 MPG with its seven-speed automatic or CVT. The Renegade might not be as efficient as its Asian rivals, but don't forget you can get it with a crawl ratio and somewhat-legit (Trailhawk) off-road outfitting.